An energetic social hub filled with urban adventure and daredevil design. Hudson takes convention and turns it on its head. 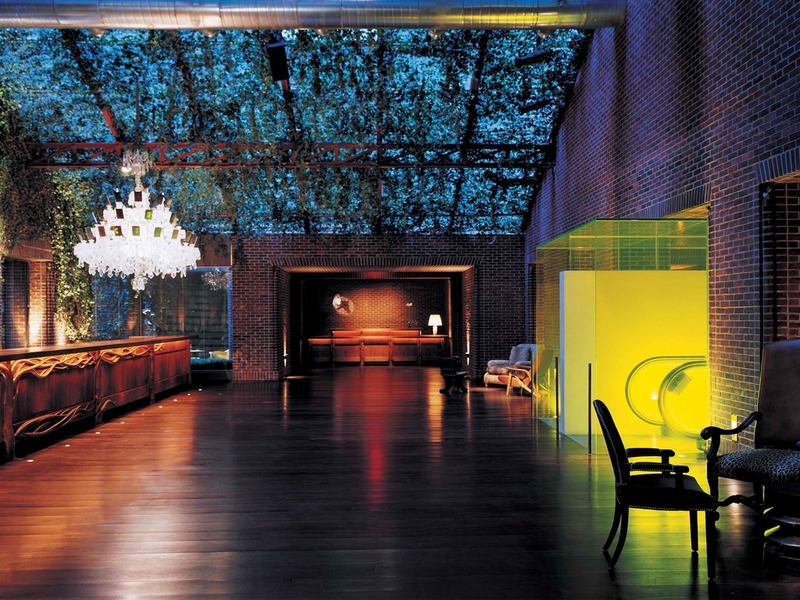 Born from the innovative vision of design imprsario Phillippe Starck, this luxury New York boutique hotel is stylish, democratic, young at heart and utterly cool. Reminiscent of an old English club or drawing room, Library Bar at Hudson New York is the perfect cozy hangout for relaxing by the enormous fireplace, chatting and drinking with friends, shooting billiards, playing a computer game, or reading a book.